This home is surrounded by the three majestic beech trees and is adjacent to Doris Duke’s estate, Rough Point, on Bellevue Avenue in Newport, RI. The owners use it as a summer escape and wanted to celebrate that season with profuse blossoms, fun outdoor activities and relaxed living. 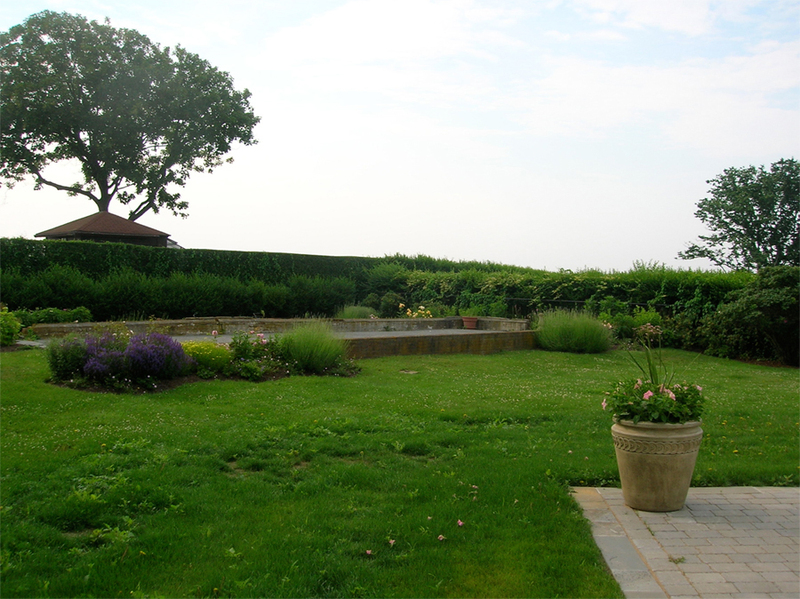 The foundation of an old greenhouse that once served Rough Point was transformed into a bocce court and a crumbling pool was updated. 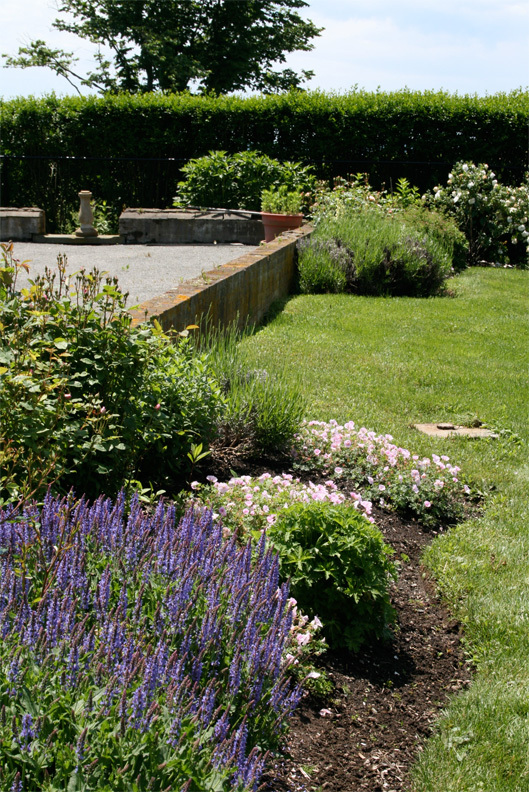 Four raised beds provide a bounty of vegetables and herbs while perennial borders provide a succession of color and fragrance from June through August. Drought-tolerant and low-low-maintenance plants combine with rain barrels to provide the environmentally sensitive approach that the owners value.